With a practical compact size and straight forward features, KYMCO MXU 150 is perfect to haul you around your property. The efficient 11HP four-stroke engine delivers reliable power, while the CVT automatic transmission with reverse, smooth suspension and light steering make this machine easy to ride. Fitted with wide carry racks there’s plenty of room for any extra equipment. 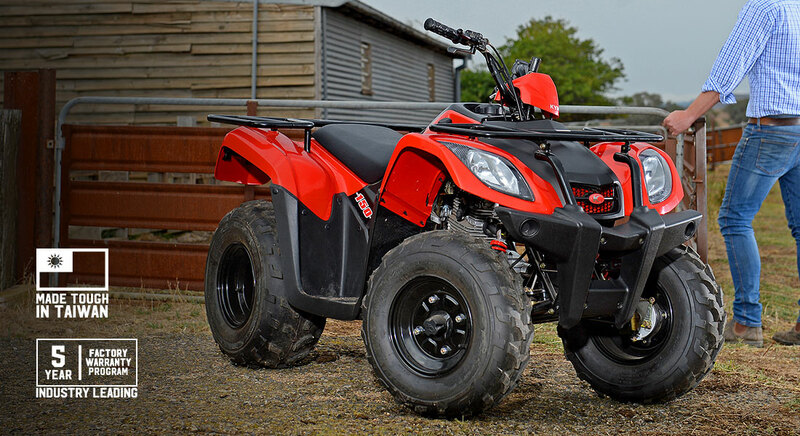 If you’re searching for great value, KYMCO MXU 150 delivers the convenience of a full-sized ATV in a practical and nimble package.